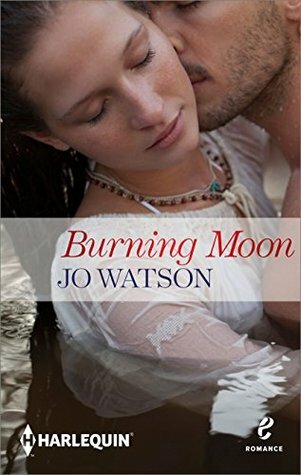 Burning Moon by Jo Watson is the story of Lilly Swanson who goes on her honeymoon alone when her fiance jilts her at the altar and how this decision changes her life forever! I heard about this book from a friend and could not help myself from checking it out. The cover art is good but it is the blurb that sealed the deal. I absolutely loved it and didn't waste even a second in buying the book! I absolutely loved this book. It has humour, romance, heart wrenching grief and the excitement to live life to the fullest. Jo has the talent for writing and she beautifully brings to life the story of Lilly and Damien. The plot is well conceived and expertly executed. She vividly describes the situations and the shift between scenarios and places is so fluid that the story flows smoothly. I was hooked right from the first page and could not think of anything except finishing the book to know what happened to these lovely characters. The characterization is admirable and I loved Lilly. She is intelligent, strong and independent. The way she handles her life after she is jilted made me a big fan of her. Damien, on the other hand, is another character that made its place in my heart. I loved his quiet strength, his sensible and balanced approach to life and his willingness to live as he pleases. The scenes between these two were funny, humourous and downright romantic. I was giggling at one point and then suddenly was warmed by their romance. The other characters also made a lasting impression on my mind and I could not help thinking about all these people even after I had finished reading the book.